Probably, one of the biggest questions found among us in talking about dash cam has been what is the difference between Thinkware F750 and Thinkware F770 especially when it has made the new model worth the few extra dollars. Today, we do not come with the video or image comparison. We will only provide you with words from features and advantages offer by Thinkware F750 and F770. By writing this comparison, we hope it will help you to comfort you home as soon as possible. Thinkware F770 offers a slightly sharper and wider angle main camera with the specifications 2.2 megapixels and with a 140 degree field of view. Adding new features also with proprietary viewer programs, smartphone apps, GPS, shock sensors, WiFi connectivity and the ability to record for prolonged periods when the car is turned off if they are installed with continuous power. It will also isolate and protect recordings that are triggered or flagged by their shock sensors so that they are not inadvertently overwritten. It is a completely new unit design that is less bulky and offers more discreetness, it covers flap on the unit that covers the wires attached, and it is clearly marked buttons that allow for manual or recording, turn on/off the audio, format the SD, and etc. You will have no worry about recording video in the night since it is equipped with Super Night Vision that produces the best low-light video footage of all dual-channel dash cams. Not enough, it also has time lapse in parking-mode recording which can reduce memory card storage space and can allow for a quicker playback of video footage. With these advancements and Thinkware’s superb reliability, the F770 has become our best dual-channel dashcam. The Thinkware F750 system comes with the main camera unit, a 12v car charger, adhesive mounting tape, 16GB MLC Type MicroSD Memory Card, and a MicroSD card adaptor. The F750 will give a vocal and LED alert when the device has found a GPS signal and is tracking your location and produce a good quality of video with the front F750 and rear camera film at a high quality 1920 x 1080p at 30fps. The Thinkware F750 dash camera also includes various systems to help keep you alert on the road. Within the Thinkware mobile application, you can enable/disable each system and modify the sensitivity to ensure you don’t get too many false alerts. 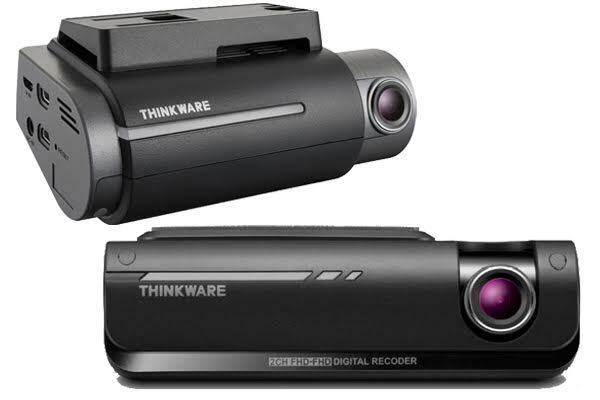 The Thinkware F750 is a full HD 1080P dash cam that attaches to your front windshield and automatically records your trips as you drive. Dash cams are useful just for recording your driving adventures, but also in the event of an accident or for capturing footage of streaking meteors or streaking people on your drives. Driving within city speed limits 50 km/h F750 will do the job, but on higher speeds it is almost impossible to read number plates due to low bit-rate. But, we will give yu a statement that if you are not in a hurry, then it is worth to wait F770 to see if they fixed earlier model bugs. The biggest issue with most Korean dashcams, they do put inside too many useless “bells and whistles” which eating up a lot of CPU / RAM etc, hence need to sacrifice on video quality, mostly lowering bit-rate.